We are a Montreal SEO Company that believes in the power of working together! Comhar (Core) is a Gaelic word defined as combined work, mutual assistance, partnership. THE POWER OF WORKING TOGETHER. The original “Comhar” definition: co-operative ploughing between neighbours, this Irish word now evokes the general notion of co-operation and shared work. @ Comhar SEO – We look upon our Montreal Digital Marketing Service as a partnership with our clients. With our good will and hard work, we have established a solid reputation within the Montreal Online Marketing Industry. Our goal is simply to maximize our clients online visibility so that they can enjoy a boost in their bottom line! Simply put, you can trust our Montreal SEO Services! @ Comhar SEO we are: Honest. Hard Working. Loyal. Friendly. We have principles that we follow strictly & cater to a high end clientele that seeks fast & efficient results. Comhar SEO is the TOP Montreal SEO & Digital Marketing Expert in our city. We are a MONTREAL SEO that offers Search Engine Optimization for websites. a company is in is behind the technological & Montreal SEO curve if the webpage is not visible on the 1st page search engines. 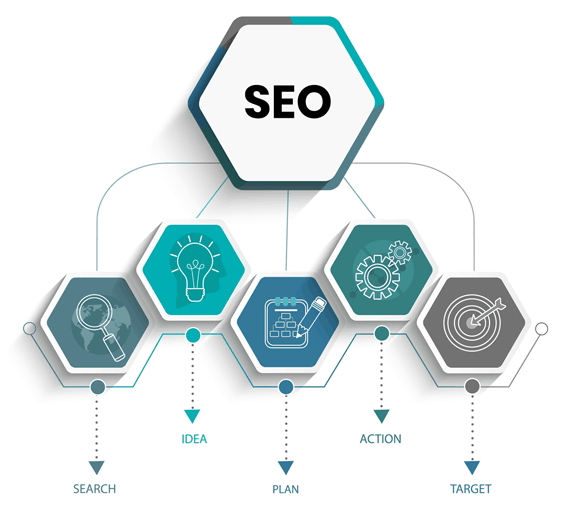 Comhar SEO is a MONTREAL ONLINE MARKETING FIRM that will research keywords related to your niche and construct a plan to ensure that your company at the very TOP of major search engines. Our MONTREAL DIGITAL MARKETING EXPERTS will submit a free breakdown of your current webpage ranking on Google & other major search engines. As a result of poor online marketing strategy, your company’s bottom line is not maximized if the Montreal online profile is poor. Trust our team of MONTREAL DIGITAL MARKETING PROFESSIONALS; top ranking of major search engines like Google will increase your revenues. FAST! OUR MONTREAL ONLINE MARKETING AGENCY & MONTREAL SEO EXPERTS WILL ITEMIZE EVERYTHING FOR YOU! a) Relevant content to your niche. b) The use of proper keywords. c) Valuable blog postings that are significant to your services. The website conversion rate will grow. Website ranking‘s will move to the top of major search engines. 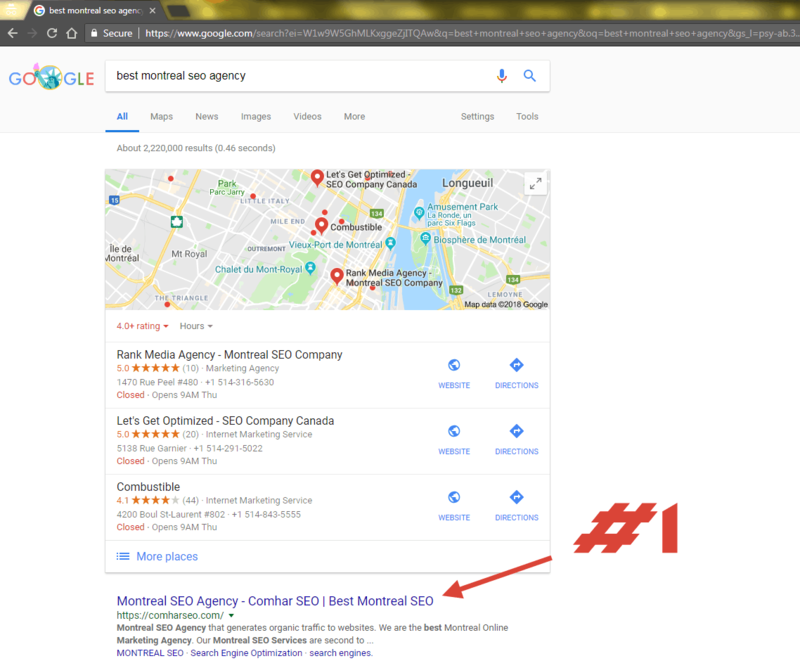 Montreal SEO Services | Comhar SEO | OPTIMIZING YOUR COMPANY ONLINE PROFILE & THE IMPORTANCE IN USING A QUALITY MONTREAL SEO AGENCY! Optimization of websites is VERY IMPORTANT. The purpose of Website Optimization is to boost online traffic to your online profile. Studies indicate that a majority of online searches are with the use of mobile phones. With technology better than ever before, information is at the click of a button. Therefore, it is crucial to capitalize. Never before have business’s and corporation’s been able to market in this fashion. Fast. Effective. Our Montreal SEO Agency can help! Use our Montreal Online Marketing Services! With that, a strong Montreal Digital Marketing strategy is the tool to push your business forward and increase revenues. Our MONTREAL SEO AGENCY will help you attain that proverbial JUMP! Converting online searches into revenues. Our Montreal Online Marketing Company is of the opinion that the only way to BOOST sales online is to funnel online traffic to your webpage. When potential clients are seduced by a website – this is called online traffic. This TRAFFIC is important when it comes to increasing a PR ratings (Google Algorithm). When more searchers are drawn to your web site, the sites conversion rates will boost. A High PR Rating is crucial because it makes your webpage more visible online. A high PR Rating is valuable and increases BRAND visibility online. This is what our Montreal SEO Agency can do for you! Ultimately, we are the one stop shop for all your Montreal SEO needs! Our Montreal Online Marketing Agency is very motivated to help you reach your sales goals. MAKE SURE TO HIRE THE RIGHT MONTREAL SEO COMPANY!